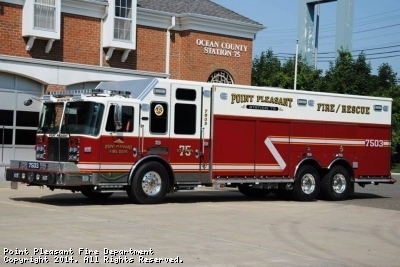 In 2018, the Point Pleasant Fire department responded to a total of 359 calls for service. On top of the calls, members donated a total of 6,349 man hours to other duties and training relating to the fire house and fire service. When I am called to duty, God, whenever flames may rage, Give me the strength to save some life, Whatever be its age. This site has been viewed 96,783 times.